Emmanouil Giorgakis, M.D., M.Sc., has joined the Department of Surgery as a liver, kidney and pancreas transplant surgeon. 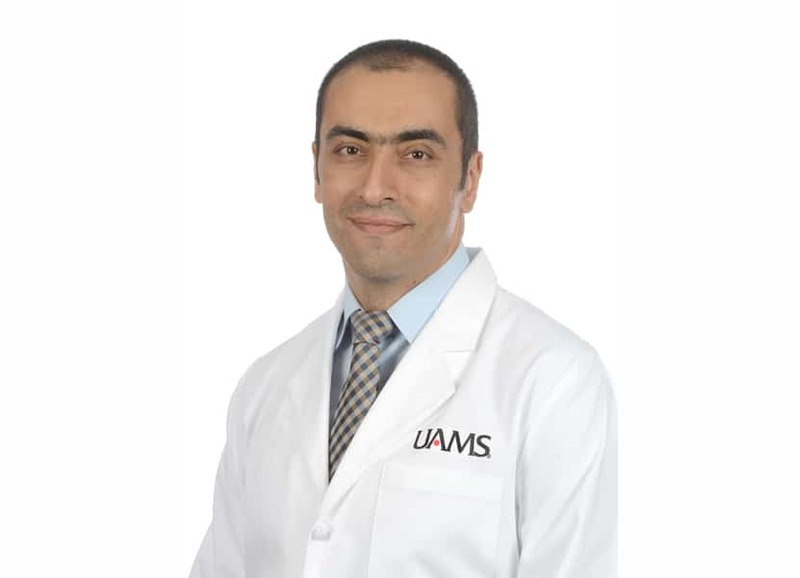 Aug. 28, 2018 | Aug. 28, 2018 | Emmanouil Giorgakis, M.D., M.Sc., has joined the University of Arkansas for Medical Sciences (UAMS) as a liver, kidney and pancreas transplant surgeon. Giorgakis also serves as an assistant professor in the UAMS College of Medicine’s Department of Surgery. Giorgakis will perform liver, kidney and pancreas transplants, as well as hepatobiliary and pancreatic surgery. UAMS is the only center in Arkansas that offers adult liver or kidney transplantation. Giorgakis said there have been big advances in the transplant field. For example, transplants are available for patients with higher body mass indexes, when paired with simultaneous weight-loss procedures. The organ donor pool has expanded, and organ preservation techniques have improved.